Aer Lingus is the national airline of Ireland and was founded by the Irish Government in 1936. It currently flies to 91 destinations and in 2016 they fared well compared to their competitors in terms of delays and cancellations. However, as with all airlines disruptions do still happen. We strive to uphold your rights and redress the balance between you and Aer Lingus. Get started with the online calculator to quickly check if you’re eligible for compensation and submit your claim online. If the delay reaches five hours you have the right to cancel your flight. 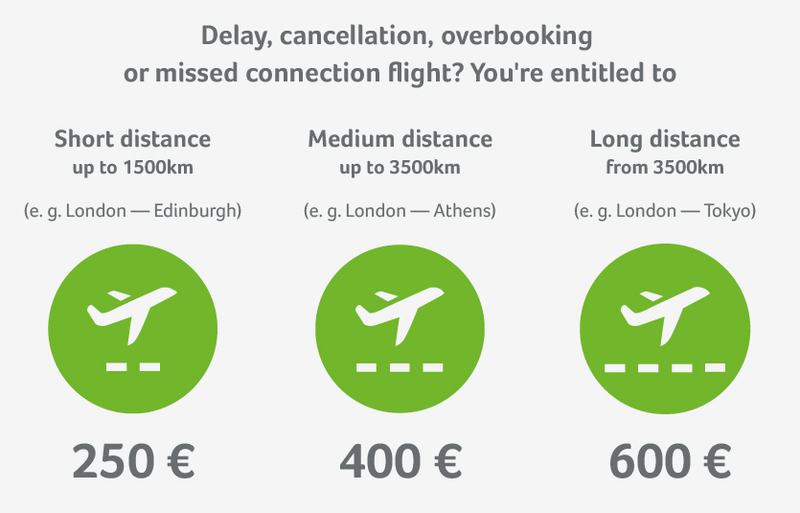 The airline is obliged to either reimburse you for the costs or offer you a different method of reaching your destination. If delayed until the following day, the airline has an obligation to get you a hotel for the night and take care of the transport to and from the airport and the hotel. Get in contact with the airline directly and ask for written commitment. Important: Don’t accept excuses! Vouchers for hotels or food don’t relieve the airline’s responsibility to pay your compensation. Thanks to our expertise, we enforce compensation with a very high rate of success. That’s why we are able to promise a completely free service in unsuccessful cases! Aer Lingus oversaw nearly 15 thousand outbound flights from the UK in 2016 to 91 destination airports. It is the second largest airline in Ireland, after Ryanair, operating with a fleet of 49 Airbus aircraft. In 2016, 32 Aer Lingus flights were delayed over three hours and 91 flights were cancelled outright. Based on the number of flights they operated, these numbers make Aer Lingus one of the better performers that year. Aer Lingus are responsive and cooperative with Flightright’s efforts to secure passenger compensation. They are, however, one of the slowest in paying out - although this is something which they are at least improving on. Most of Aer Lingus’ flights allow you to check in between 2 and 30 hours before departure, but it is worth checking as some of their European airports only allow you to check in 4 hours prior to takeoff. It is also advisable to check-in online to avoid delay and Aer Lingus have an app that will make things even easier. More information about Aer Lingus can be found here.